The hot Texas weather can be uncomfortable and especially when your air conditioner isn't performing well. Air Comfort Solutions has over 30 years experience in the air conditioning and heating industry giving us the knowledge and experience to quickly diagnose your air conditioning or heating issues. After our diagnostic, we offer our customers a complete list of all necessary and recommended repairs along with the pricing. We want you to know all the options you have for your air conditioning repair; as well as, the cost so you will completely informed and able to make the right decision for you and your famil. We offer our complete line of ac services throughout Sachse and the surrounding areas. Our complete line of repair services include; but not limited to, air conditioning repair, heater service, air conditioner replacement, HVAC maintenance, ac repair, & installation on all major brands of air conditioning equipment. With the changing Texas Winter; people will be using a variety of heating solutions to keep their homes and businesses warm. As your heating system ages, it can lose efficiency, stop working altogether, or worse; emit carbon monoxide into your home, creating a danger for you and your family. Are you prepared? 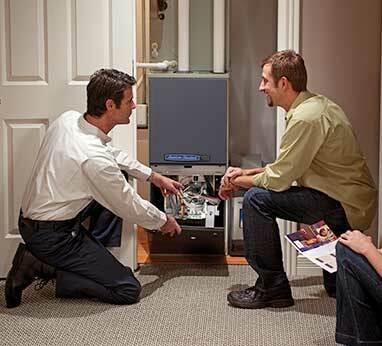 Air Comfort Solutions has a complete line of heating services that include; but not limited to, gas furnace repair, heat pump repair heater maintenance, & heating system installation. We are pleased to offer these heating service to both residents and businesses throughout Sachse TX & all the surrounding areas. When your heating and air conditioning systems break down, the repairs can be costly. That's why investing a little bit of money up front to keep them properly maintained is a wise move. 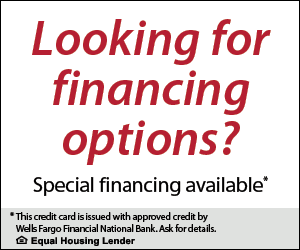 If while performing the heating or air conditioning maintenance we do note some recommended repairs, these will be made at our special maintenance pricing. Service technician will provide a complete inspection of your air conditioning and heating system for proper operation to insure it is working at optimum efficiency. No repairs will be completed without the customers authorization. Whether you are looking for maintenance or need emergency heating or air conditioning repair, service, or installation you can count on us for fast, affordable, and honest service. We are full service HVAC contractor with over 20 years experience. 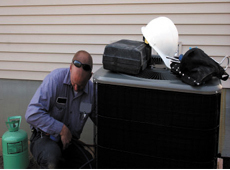 We offer residents throughout Sachse, Texas with air conditioning and heating service solutions. Should you need to replace your equipment we carry a complete line of major brands to include; but not limited to, Trane, Rheem, Ruud, Bryant, Carrier, Goodman, and Amana.